“As a hunter and gun owner I believe we should protect a law-abiding individual’s Second Amendment right to own firearms. As a dad and grandfather I also believe that we have a responsibility to make our schools, streets and communities safe. We can do both, but Congress will need to step up. After being named chair of the Gun Violence Prevention Task Force in the U.S. House of Representatives, I held a series of open town halls in our district that examined some of the actions that Congress could take. Hundreds attended these meetings. I heard views from law enforcement officials, mental health experts, school officials, NRA members and gun control advocates. Many feared that their Second Amendment rights would come under attack when my task force made its recommendations to Congress. Others wanted to cast those rights aside. I believe both views are too extreme. I will never give up my guns and I will never ask law-abiding Americans without a history of dangerous mental illness to give up theirs. Not only am I personally against this, the Constitution does not allow it. In District of Columbia v. Heller the Supreme Court affirmed once and for all that Americans have a right to keep and bear arms. However, just as the First Amendment protects free speech but doesn’t allow you to incite violence, the Second Amendment has restrictions too. As conservative justice Anthony Scalia outlined, Heller does not prohibit laws forbidding firearms in places such as schools, nor does it restrict laws prohibiting felons and the mentally ill from carrying guns. I heard back that same day with a promise to pass our concern on to Mike’s communications director in Washington D.C., Alex Macfarlane. 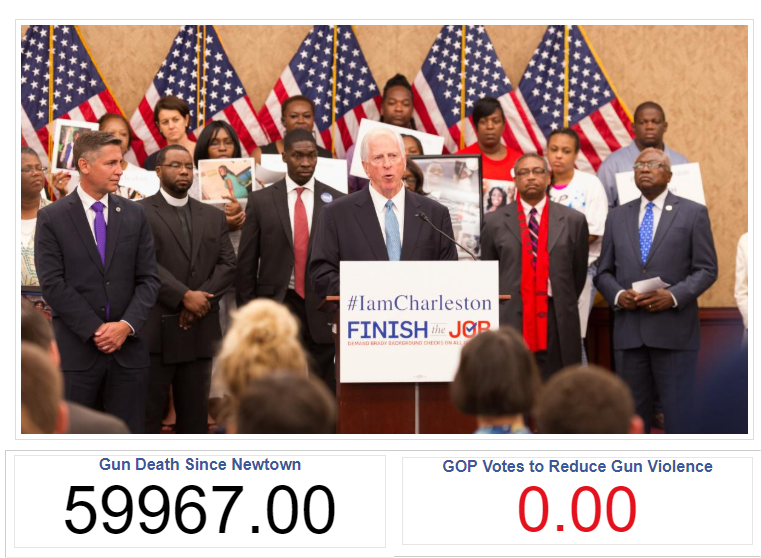 As of today, there have been no updates on Mike’s Gun Violence Prevention page. Similarly, I can find no mention of assault weapons or automatic / semi-automatic weapons on Thompson’s Facebook page. I hope to hear from his office about changes, and will report here with updates.